That big toe? “It’s not a big deal,” M's third baseman says. 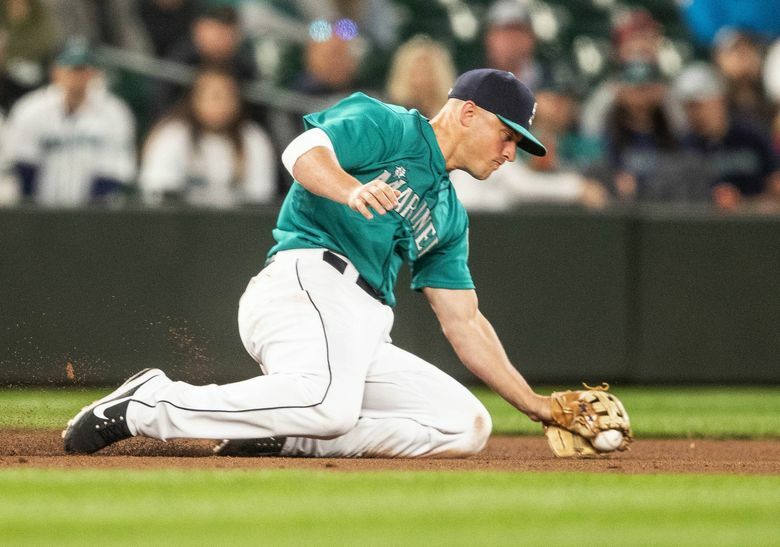 Whatever discomfort Kyle Seager may (or may not) be feeling in his left big toe, he wouldn’t say Friday afternoon before the start of 10-day homestand at Safeco Field. Seager fouled a ball off his left foot during his second at-bat of Wednesday’s game at Baltimore. X-rays after the game revealed an avulsion fracture — a tendon has pulled a fragment of the fifth metatarsal bone away from its base — which is the same injury that landed Dee Gordon on the 10-day disabled list in May. “Except for Dee, it’s kind of more important that he is able to run. I lost my green light a few years ago,” Seager deadpanned. Seager actually hit a game-tying two-run homer in the ninth inning Wednesday, not long after injury his toe. He was out of the lineup for Thursday’s finale at Baltimore, though he did pinch hit in the ninth inning and played third in the 10th as the Mariners completed a four-game sweep of the Orioles. Seager was back in the lineup at third base for Friday’s series opener against the Kansas City Royals. Mariners manager Scott Servais said the plan was to have Seager wear a special orthotics to support his left foot. Of the Seattle’s 82 games this season, Seager has played in 81 of them — tied with Mitch Haniger for most on the team — and it’s not in his nature to take days off. Seahawks twin brothers Shaquill and Shaquem Griffin took part in the Mariners’ pregame festivities, with Shaquem throwing out the ceremonial first pitch to Shaquill, who crouched at home plate. They then posed for pictures with Gordon in front of the Mariners’ dugout. — Veteran right-hander Hisashi Iwakuma, who had shoulder surgery last September, has again been shut down from throwing. Servais said Iwakuma is scheduled to visit the doctor who performed the surgery. — Right-hander Erasmo Ramirez (strained lat) has been playing catch and could throw a bullpen next week. There is no timetable for his return.